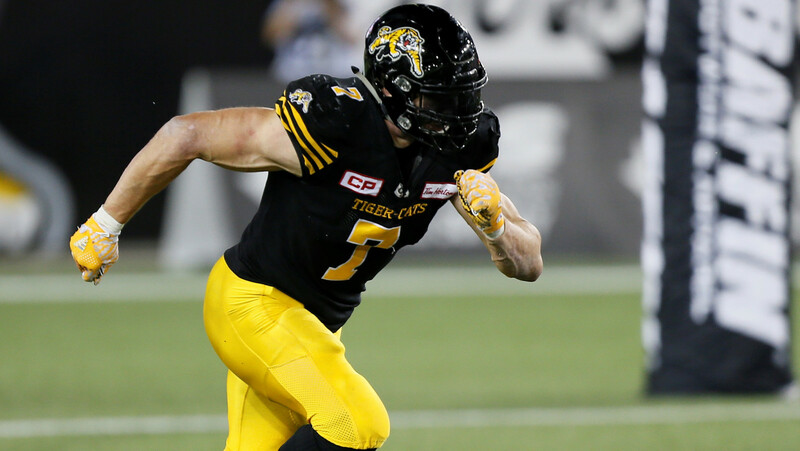 HAMILTON — The Hamilton Tiger-Cats announced Monday that the club has signed international defensive end John Chick to a contract extension through the 2018 CFL season. Chick, 34, started all 18 regular season games and the Eastern Semi-Final for the Tiger-Cats in 2016, and was named a CFL All-Star and Hamilton’s Most Outstanding Defensive Player in his first year with the team. The 6-4, 253-pound product of Utah State finished the season tied for second in CFL sacks (14) and tied for third in forced fumbles (4), while adding 40 defensive tackles, four tackles for a loss, two fumble recoveries and five pass knock downs. RELATED: Chick celebrates extension by ‘hammer’ curling 145lbs! In seven CFL seasons with the Saskatchewan Roughriders (2007-09, 2013-15) and Tiger-Cats (2016), Chick has registered 210 defensive tackles, 67 quarterback sacks, 24 tackles for loss, one interception, 14 forced fumbles and eight fumble recoveries in 109 career games. The native of Gillette, Wyoming, is a three-time CFL All-Star, previously earning the honours with the Roughriders in 2009 and 2014. He is also a two-time Grey Cup Champion (2007, 2013) and was named the CFL’s Most Outstanding Defensive Player in 2009.